Texas is about to get spiked by a pitchfork! 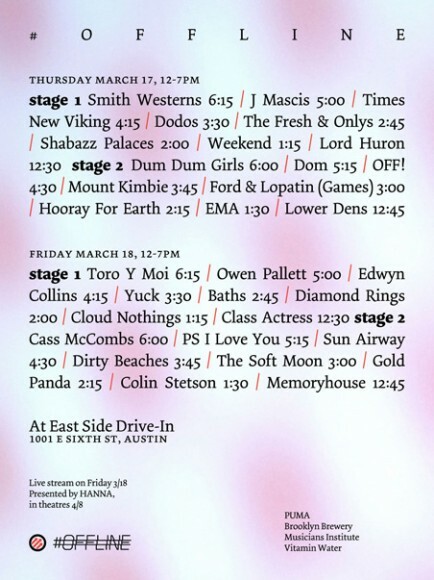 Pitchfork Magazine has officially annouced its particiaption and co-operation with the SXSW Festival. Pitchfork would like to annouce a series of events taking place around Austin between March 15 -18. All events are free, but the official shocases taking place in the evenings will require a festival badge. 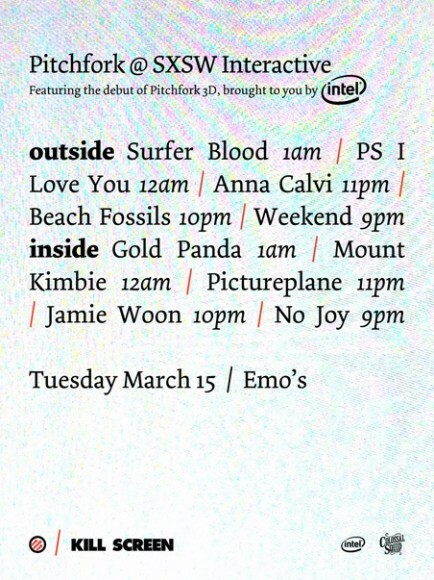 Here is a full list of the bands that can be found on Emo’s stage March 15th at 9 p.m.
Pitchfork’s second official annoucement to concert goers will be taking place at the East Side Drive-in. The East Side Drive-in is located at 1001 E 6th street and will be hosting Pitchfork’s party for two days straight. That’s right, the party known as #Offline will take place on Thursday and Friday between high noon and sundown. Pitchfork’s official SXSW showcase, being presented at the old Central Presbyterian Chruch is sure to be an attention grabber. In the midst of all the SXSW action, Pitchfork will be holding simultaneous events both here and at the East Side Drive-in. Taking place between 8p.m. and 2a.m. at the Central Presbyterian Chruch located at 200 E 8th street.